Animal welfare advocates set in motion a fury of social media networking, calling, and emailing representatives last week when the Illinois Animal Welfare Act was revised in a way that left everyone stunned — saving adoptable animals, feral cats, and the systems put in place to make it work, more than a decade of community effort, all at risk because of Senate Bill 0648. The Bill was tabled on Friday, while you and I were left clamoring for answers over the weekend: Why were these changes made — what was the intent of the author? It was reported today by Steve Dale that the Bill was written in response to what has the appearance of a fraud on the public (my characterization), whether intended or not. According to Dale’s description of events, a black Lab was taken from someone’s backyard and was claimed by the rescue group who removed him to have frostbite and serious medical needs. Said group raised $1200 from their Facebook page for medical issues where there were none. The owners of the dog were neighbors of Senator Andy Manar’s, sponsor of the Bill. The dog was found via social media and when the owners tried to reclaim the dog, the rescue initially refused to relinquish the dog, even though the dog had been examined by a vet and found nothing more than arthritis. A microchip also confirmed ownership. Humane investigators can look into what might be a problem and accomplish good outcomes, legally. They are familiar with what emergencies look like. Rescues should not risk having their license pulled, or risk their standing in the community. This Bill to revise the Illinois Animal Welfare Act was in response to these events. That’s the shorthand version, oh, and you might recall I wondered aloud where HSUS was in this whirlwind — read Steve Dale’s column at Chicago Now for the whole story! Thanks for the article, As a dog lover, I try to keep up on all the changes but it is hard. 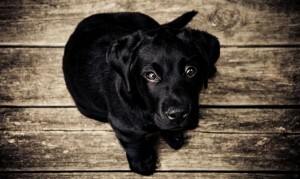 I will check back for updates..
Also, I love the picture of the black lab puppy in this article, Looks like my Milo. Is there any way I could get a high resolution version of it, so I can print it and hang it up? Happy to share for this awesome cause!! @painspeaks Thanks for stopping by Liz! Great post !! Thanks to share ! It appears that the legislators involved were well-intentioned but didn't take the time to consult experts, study the problem and decide whether it even needed to be addressed with new legislation. They could have done more harm than good. I'm happy to cut them some slack, but I hope they'll learn and remember that well-intentioned legislation crafted on a whim can be as harmful as mean-spirited legislation. @PeterFaur This caused quite a scare, unnecessarily. I was glad to hear the Bill was being Tabled while the co-sponsors looked into which experts to consult to make the Bill work for the everyone. I sincerely hope, as you say, the lesson is learned. Thanks for stopping by and weighing in, Peter! I don't understand at all how the proposed bill was a solution to the weird case that spawned it, but I'm glad it's tabled for now. There are always going to be bad stories, but you can fix the bad stories without taking out the whole system. Traditional dog officers have been accused of the same thing, of taking dogs and then claiming the dogs were not in compliance with town laws. Owners have fought and won these cases. It doesn't mean we don't need dog officers in town. It means we need to have oversight and make sure they are doing the job they were hired to do, not doing things they aren't authorized to do to meet some other agenda. If a rescue is in the wrong hold them accountable. I think that is important to keep everyone honest. However, destroying the rescue system because some are not legit is no more intelligent than removing local dog officers who patrol animal problems in town because some of them are corrupt. I suspect this was the story they were waiting for to use as justification for this law. Not that this law was created in response to this situation. @Sheltie Times I was a little taken aback at this story as the rationale, because, as Roxanne said, it doesn't fit.The revision of the first section of Act is what had me scratching my head. I can't know the intention of the co-sponsors nor can I see who this would benefit. I think your surmise is likely spot-on. I know this is not the first time a (supposed) rescue raised funds inappropriately. It really is bad news for legitimate rescues, but as you say, there is no reason to make major changes that destroy what is working. @MaryEHaight @Sheltie Times It kind of reminds me of stories you hear about magazines (women's mags, in particular), where an editor hears about a situation at a party and decides to publish an article about a "trend" ... usually nefarious in some way ... except it isn't really a trend or a major threat, etc. Previous post: Legislation Kills No Kill Goals, Barrs Shelters Saving Strays?